Born and raised in Prince George’s County, MD, I emigrated to Calvert County 26 years ago with my husband, Bob. We have three wonderful chihuahuas, many birds, and squirrels, and occasional visits from moles, mice, stink bugs, camel crickets, and snakes. I am a mother of three, grandmother of 9, great-grandmother of 6, and a retired business communications professional. I apply leading-edge technologies, procedures, processes, social media, and other techniques in my studies and communications. I am by nature autodidactic; a traveler, explorer, and embracer of any and all challenges along my life’s path; I am our families’ event planner, storyteller, and historian; recorder of the past and present; identifier of family cultures and traits, treasurer of traditions, and as a dichotomy to this list–a catalyst for change. This morning I came upon a Bible passage that seems fitting to why I am who I am and do what I do: Deuteronomy 32-7: “Remember the days of old; consider the years of many generations; ask your father, and he will show you, your elders, and they will tell you.” This was Moses reminding the people who were about to travel into Israel to have faith by remembering that God had blessed them many times in the past. And so, as I delve into my family’s history to learn about and better understand my people’s history, this passage deeply resonated with me. My Mission: To collect, authenticate, clarify, preserve, and publish all relevant genealogical information to give my family an accurate accounting of its past; to honor those who came before us out of reverence and respect; to remember loved ones who have passed on, and to spiritually ground me through a greater sense of ancestral identity and history. To all my regular readers, you know that my blog has become so much more than the stories and histories of my family. It truly is about Our “unbounded” Heritage. Meaning, that these posts cover a vast array of enlightening, informative, and unbridled themes and content intended to help us better define who, where, and what we are today as a result of who, where, and what we were across the centuries. I wish to thank all those researchers, digitizers, historians, and contributors from all walks of life who have documented and preserved our histories that go back centuries; especially Ancestry.com for their public family trees, the U.S. Census Bureau and Ancestry.com’s historical facts resources sites, the Latter Day Saints Genealogy Databases, the Library of Congress, the National Archives, all other libraries who maintain historic data and image collections; and, all web sites and materials from others dedicated to promoting Americans’ heritage and religious, moral, literary, and social cultures. I am a Thornton descendant. My family traces to Fall Hill. William, Col Francis, Anthony Sr, Anthony Jr, Lt George, Peter, Miller, Joseph, John, James, myself. I would like to keep in touch with you, my email is cmweedin@gmail.com. Please contact me, I would love to talk more! Hello- I am a descendant of Rev John Lothrop, through his son Samuel. I am very happy to find your site – have been trying to get more information about Lathrops in Susq County. I am descended from Spencer Lathrop, who was married to Clarissa Tupper. Their dau Clarissa Tupper Lathrop of Springville married Harry S Clark. I just discovered this today and I’m fascinated! I am descended from Mary Tapp (1671-1731) and Joseph Bragg (1670-1747). Mary Tapp was my 7th great grandmother! Thank you for sharing all that you do. I’m glad to have found your blog and am subscribing as of today. and if so, how you would like me to credit it. I have a blog called London Heritage Hotspots (londonheritagehotspots.com) and I am offering my subscribers a link to a map of Pocahontas in London. This is a private online Google map I am just finishing creating. Although it’s almost all London sites, I am including Heacham and would like to show the hall. If that’s not possible, or if you prefer not, I understand! That’s why I am asking. Hello, I have enjoyed reading your research. I too am of the De Bolling Line. 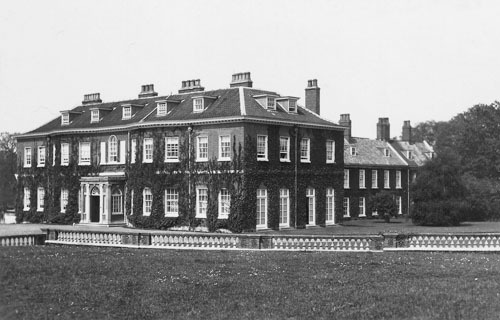 My ancestors lived in Bolling Hall in England. I have been tracking my ancestors to show my grandmother. However, I am not sure how our family connects to French royalty. If you don’t mind me asking. where did you uncover the research of our connection? What documentation? I read somewhere the billings came were related to Eustace III, Count of Boulogne, however I can not see how. Please share your thoughts. Thanks for sharing my work on Phenie Tapp with your readers. I learned a great deal while researching that piece, which is still the most popular essay I have posted on Spotsylvania Memory. No, thank you for your research and documentation! Do you have any information on a Rolfe – Barnett connection? My family verbal history says our William Barnett married a daughter of Thomas P Rolfe. I’ve found no connection but most people are so proud of their direct line to Pocahontas that they ignore other siblings. I really wish I had more time to dedicate to our genealogy, it really is fascinating. When you do make a connection, I just want to jump for joy. I’m a bit confused regarding Elizabeth Bolling. She is listed in my family tree as being married to Dr. William Gay (my grandmother was Marjorie Ellen Gay daughter of General Gay). Is Elizabeth Bolling the daughter of John Fairfax Bolling and Mary Kennon? Yes, John Fairfax Bolling and his wife Mary Lennon had a daughter Elizabeth Bolling who married William Gay. It does get confusing. My public tree has 9 Elizabeth Bollings whose birth’s range from 1555 to 1755. Typo above mother is Mary Kennan. First of all, congratulation for your wonderful and interesting blog. Surely it’s a useful tool for anyone who is researching about North American Celebrities. I’s Mikel Caro from Madrid, I’m going to travel to NYC to develope a researching project abou the artist Francis August Lathrop and, before, I just trying to find his descendants. Maybe they can show me more paintings by him or tell me something intereseting to my book. As you sure know, Mr. Lathrop was the brother of the writter George Parsons Lathrop (who married Mrs. Rose Hawthorne, about whom you post an interesting article). Everything that you can tell me about the location or contact data of Lathrop Familly, would ne useful. I’m at your disposal for anything that you need. As you might be aware there have been and remain many spellings for the Lathrop family over the centuries. If you haven’t already contacted the organization below, I suggest you do so. Unfortunately, my Lathrop connections passed with my maternal grandmother, Alice Lauretta Lathrop Ford. I look forward to learning more from your research. Thank you. Do you know who has the copyright for the Eisenstaedt image of The Kiss published in Life Magazine, Aug. 14, 1945? I would like to reprint it in a journal issue I’m guest editing. Doesn’t a copyright last for only 50 years and then it becomes open to public use? Can you please kindly confirm this is also your private email address? If not, I would like to contact you privately about permission to reproduce some photographs which may be your family’s copyright. Your photograph of the Braidwood Academy for the Deaf and Dumb is incorrect. The picture is that of Donaldsons Hospital for the Deaf and Dumb, West Coates, Edinburgh. ~The original Braidwood Academy in Edinburgh (1760-1783) was demolished in 1942. Interesting. I also have a Sarah Tapp in my family line. Sarach Tapp daughter of William Tapp married John Jett. I would love to learn how to research more. Our heritage was almost lost. My sisters and I have pictures of Lottie and Helen. I am excited to find you and I hope to hear from you. Thank you so much for your research and the posting on wordpress. What a wonderful Christmas present to hear from you. My dad (85 and frail) has no pictures and very few memories of his mom and grandfather Frank. Lottie did not talk much about them. Can’t wait to learn more. So, if I’m great grand daughter of Frank, I guess you would be a great uncle to me? Have you visited any of the Wilderness events in Spotsylvania? Genealogy is so fascinating! I, too, love Ancestry.com! What an undertaking, but your kids and grandkids will love it!